Tea Happiness- A blog on tea drinking, tea history, tea industry interviews, NYC tea experiences! 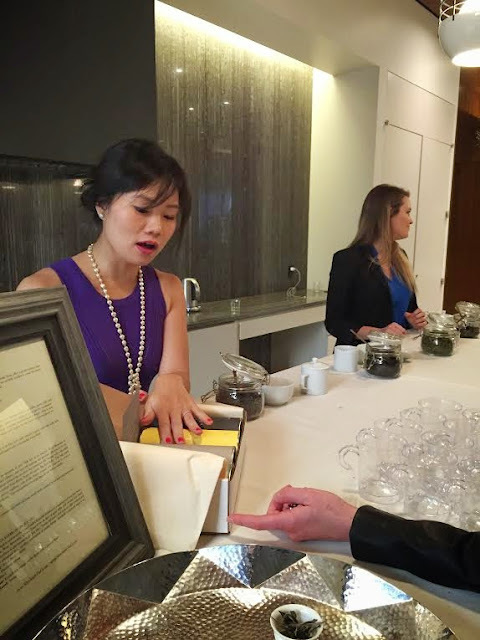 : Interview: Lucy Yung of Silver Needle Tea Co.
Interview: Lucy Yung of Silver Needle Tea Co. 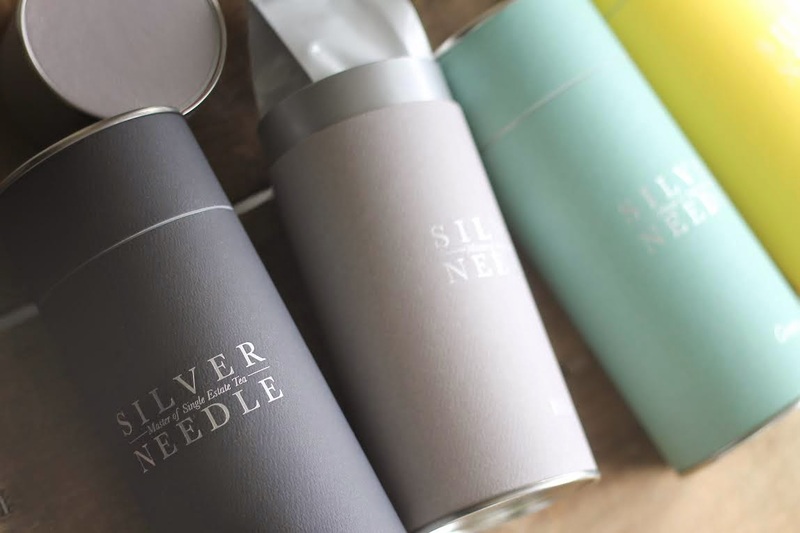 I've seen gorgeous pictures of Silver Needle Tea Co. products all over social media for the past few months and was intrigued to learn more. I recently had a chance to meet founder Lucy Yung and sample a few of her teas at the NY Coffee & Tea Festival this year, and knew we needed to do an interview. Lucy agreed, and I'm happy to present our interview. Through her company, she shares her love for creating a luxurious tea experience for the consumer. Read our whole interview after the jump. What teas did you grow up drinking? How were they incorporated into your daily life? How did your first visit to a tea estate fuel your passion for tea? Growing up in a Chinese family tea is a part of our culture and a part of my daily life. We always had tea in the house, my mom loved Green tea so we drank all kinds of Green tea growing up. Moving to NYC as an adult I became more health conscious and started having tea as a daily routine for their health benefits. Though my experience with tea deepen when I visited a tea estate in Wuyi Mountain, China for the first time on a family vacation. The tea estate on that mountain top was over seven thousand feet above sea level, and it was then I realized the tea is beyond what’s in a cup, it’s about the environment it’s grown in and the culture that surrounds the tea estate, and when I drink that tea I’m absorbing that pristine air through the leaves and it also allows me to travel to exotic origin where the tea is grown. My favorite past time is sharing tea with those I love, whether it is an afternoon tea service in a hotel or having a tea tasting, I love sharing life through cups of tea. How do you find the farmers that you work with? I have family in China and Taiwan and through their connections I was introduce to tea producers in those countries. It was really amazing how it all happened and the best part was meeting so many of the tea masters and learning their craft. The best way to be educated about tea is to learn from the tea masters and visit tea estates, you get a better sense of how tea is made from witnessing where the leaves are grown to how its harvest and processed and ultimate packaged ready to drink. Our teas are sourced based on origin, environment and craftsmanship. We have a small but selected tea Collection, and it would have been easier to just get as many teas as possible but because sourcing quality tea is the essential mission of the company, we spent a lot of time to taste as many teas as possible to curate our current collection. How did you conceive of the look for your packaging, and how does the look tie into your mission? It was important that we never compromise quality for aesthetic, I wanted the complete package, artisan tea and exquisite design. It was equally important that our design is purposeful and educational so we created something simple but profound, fine cylinders color coordinated with tea types. Every pure tea belongs to one of the four main categories of White, Green, Oolong and Black teas. How does living in NYC shape and inspire your company? I’m constantly stimulated by my surroundings and unique culture. But most of all, I’m inspired by the people of NYC. Everyone is passionate and they give it their best and they live life to the fullest…I strive for that in my life. What message do you hope your tea brings to your customers? We hope Silver Needle Tea Co. teas will enrich the lives of our customers. To drink tea as a sensory experience or offer the luxury of time you take for your well being; to take moments for yourself to appreciate the present or connect with others through sharing tea together. We hope our teas will help you travel to the exotic places where the leaves are grown, high elevations, pristine air and the unique culture that surrounds the tea estates from China, to Japan and Taiwan because every steep is a stroll into another world. How does your tea selection change with the seasons? Currently we have added two new teas in our Spring collection, Dragon Well and Big Red Robe. We rotate new teas seasonally year round, and we procure our selection based on our tea estates and its tea masters. Just like wine the climate affects the outcome of the grapes and ultimately the harvest of wine and the same goes for tea so depending on the harvest our tea masters will process teas according to the best teas they can make from their leaves of that season. What are the future plans for Silver Needle? Do you have any personal tea rituals you can share with us? I love starting my day with tea because it allows me a few moments in the morning to be present and appreciate the day that’s about to begin. I love the process of waiting for water to get ready at a precise temperature for a particular tea then watching the leavers expand and unfurl as it steeps, and watching the clock tick seconds at a time as it reaches its ideal brewing time. Lastly, appreciating every sip until the very last drop. Just like life, it’s about the journey - the process of preparing tea is equally rewarding as drinking tea itself. Thank you so much Lucy! I hope you all enjoyed our interview.